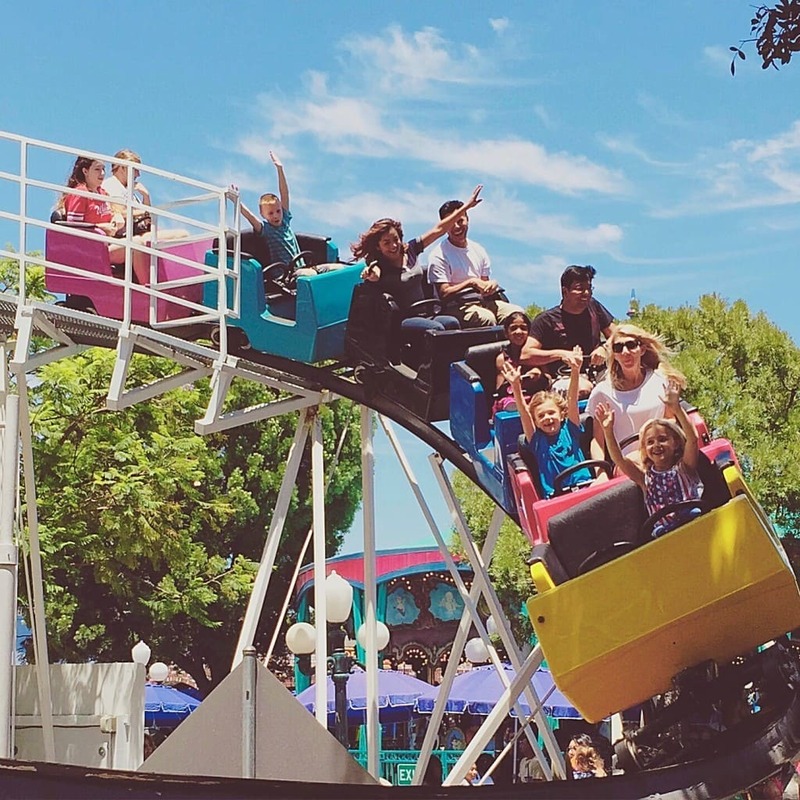 Giggle Wheel – Literally fun is over the top on this mini Ferris Wheel. 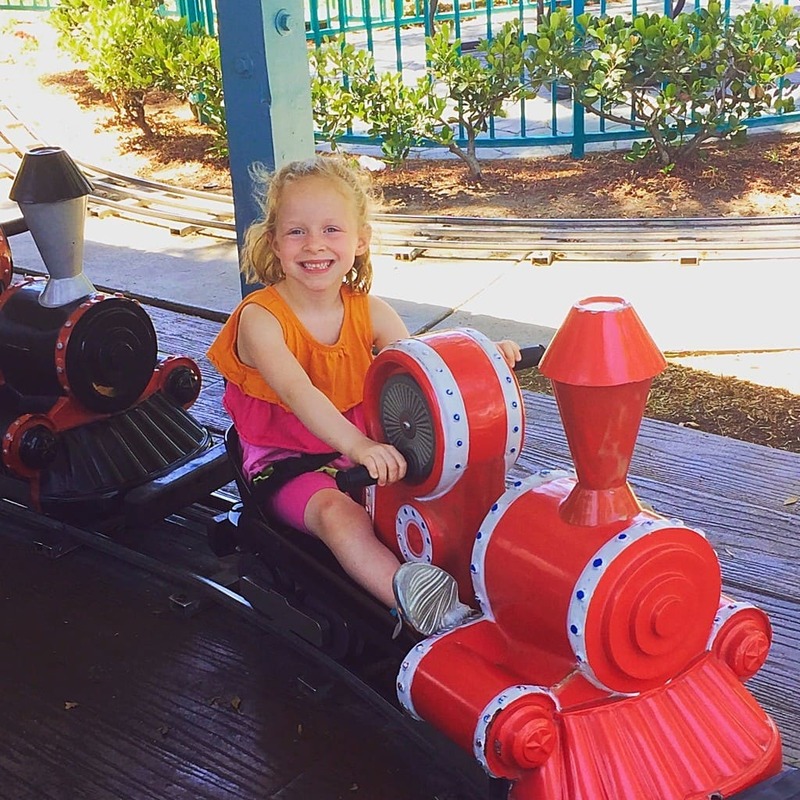 It’s big on smiles and sure to bring giggles to all who ride. 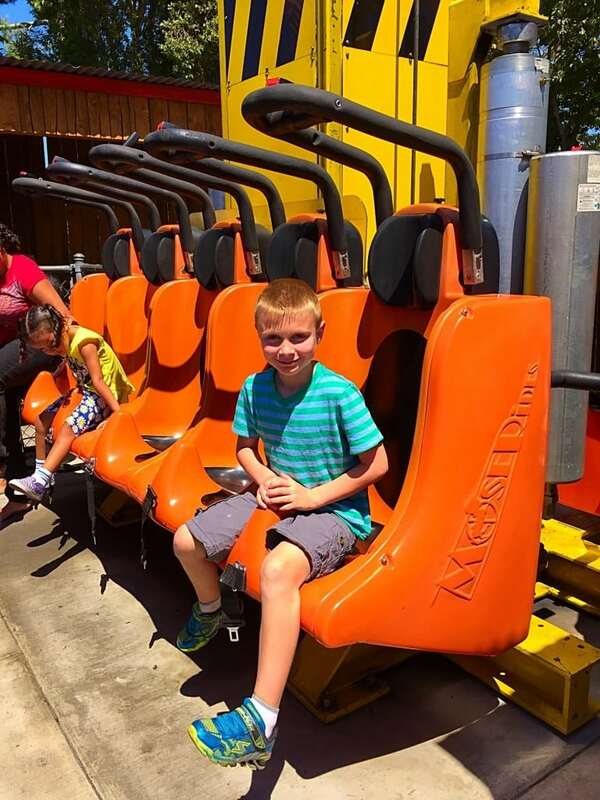 Field Trip Boy is more adventurous and decided to try out the following rides. 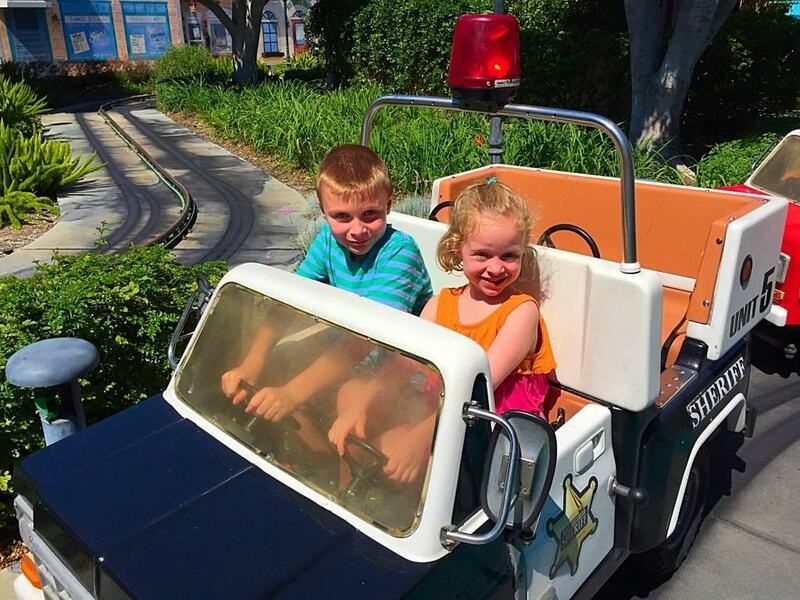 Freeway Coaster – The ultimate ride for pint-size thrill seekers provides big-time fun for the whole family. This custom-made coaster even goes through a giant pepper tree! You must be at least 3 years old to ride it. Drop Zone – The name says it all! 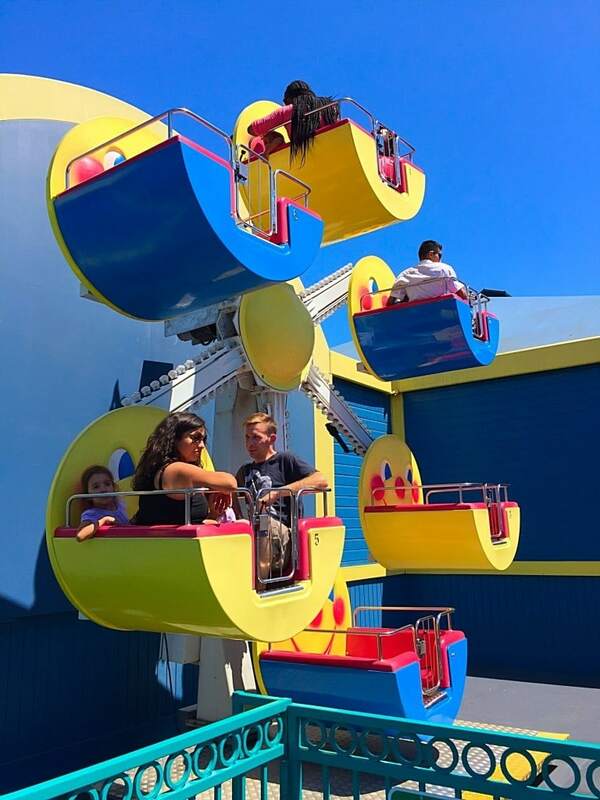 A 45 foot tower full of thrill seeking fun! They start you off with a slow rise to the top followed by an exhilarating plunge to the bottom. Let’s just say Field Trip Boy rode this ride alone! 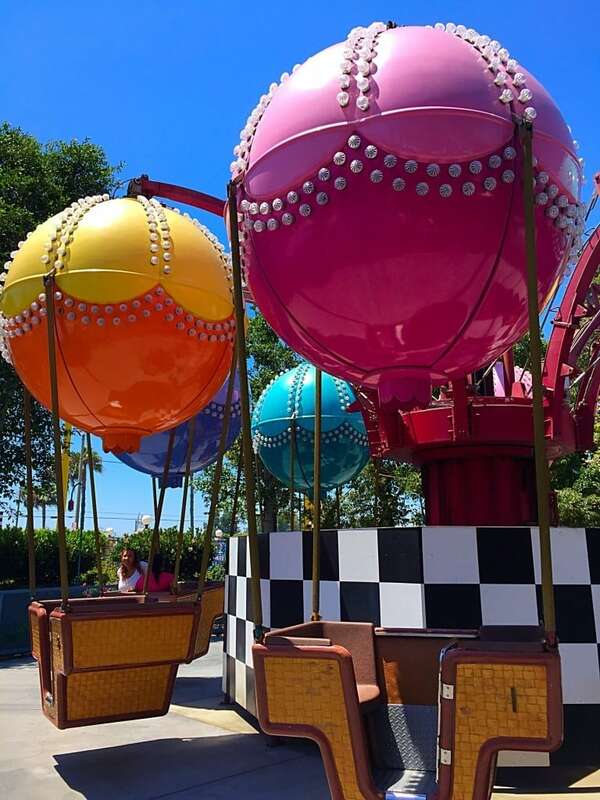 Balloon Ride – Hang on tight! 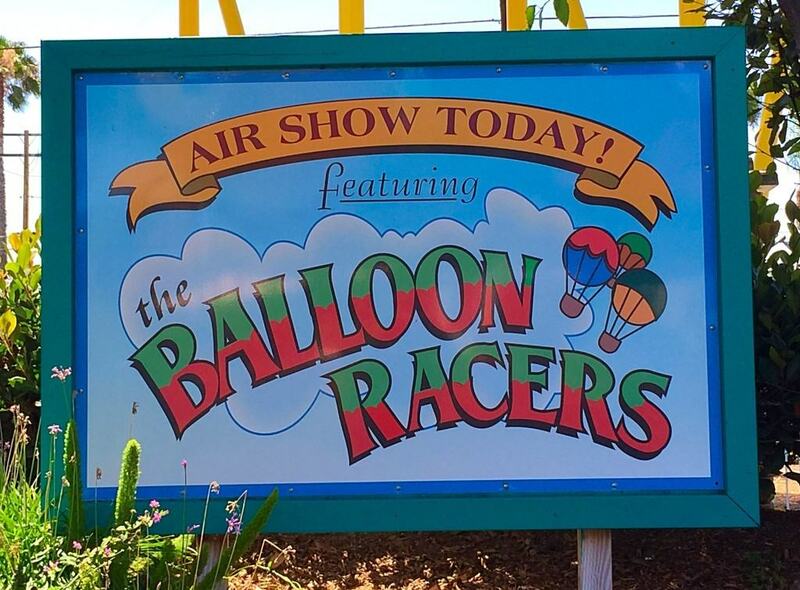 On this ride the wild hot air balloon basket rises and spins over 25 feet in the air! Crazy Bus – This is no ordinary city bus by any means. 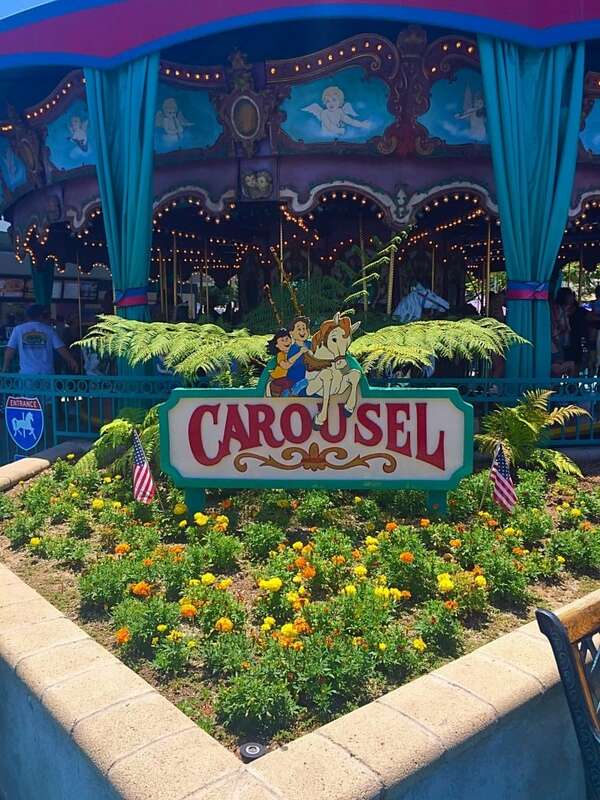 Take a swooping ride on one of the theme parks favorite rides. Mass transit was never like this! 3. 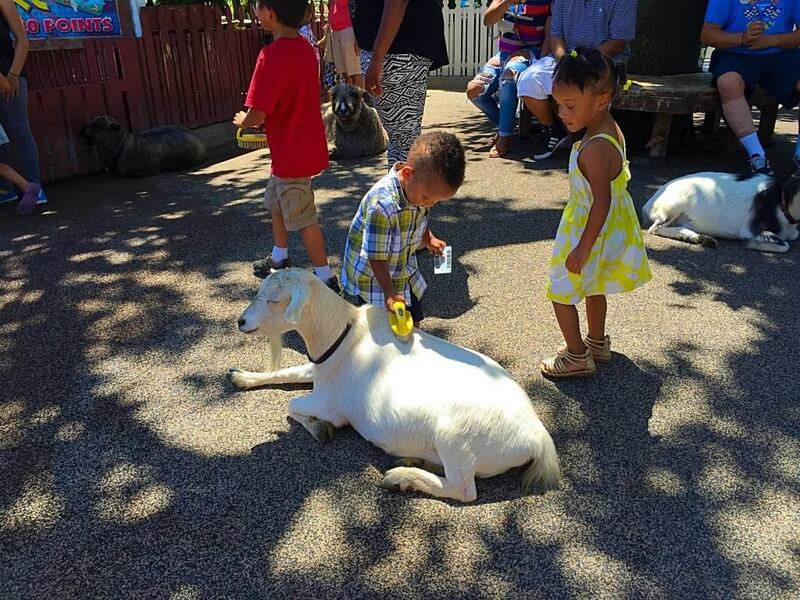 Admission is only $19.95 per person. Yes, you read that right! 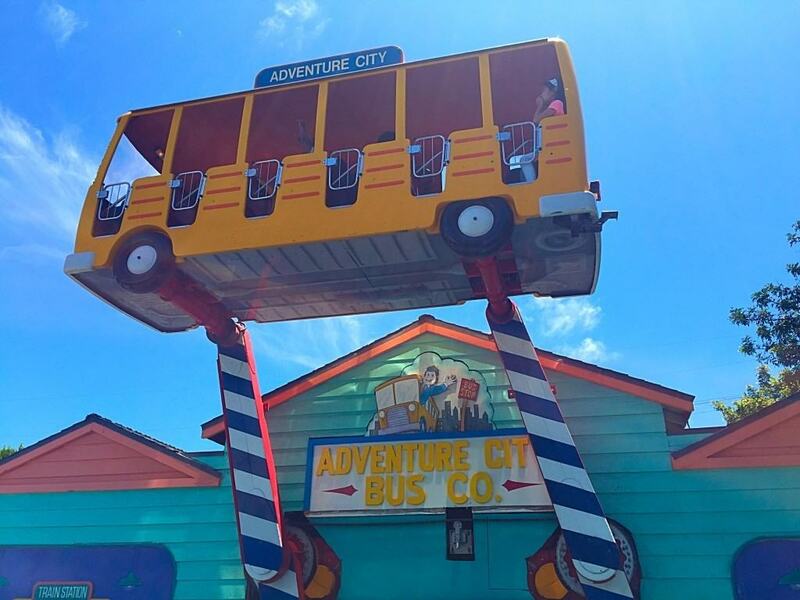 General admission to Adventure City is only $19.95 per person. Seniors are $15.95 (ages 55 years and up) and infants 12 months and younger are free. 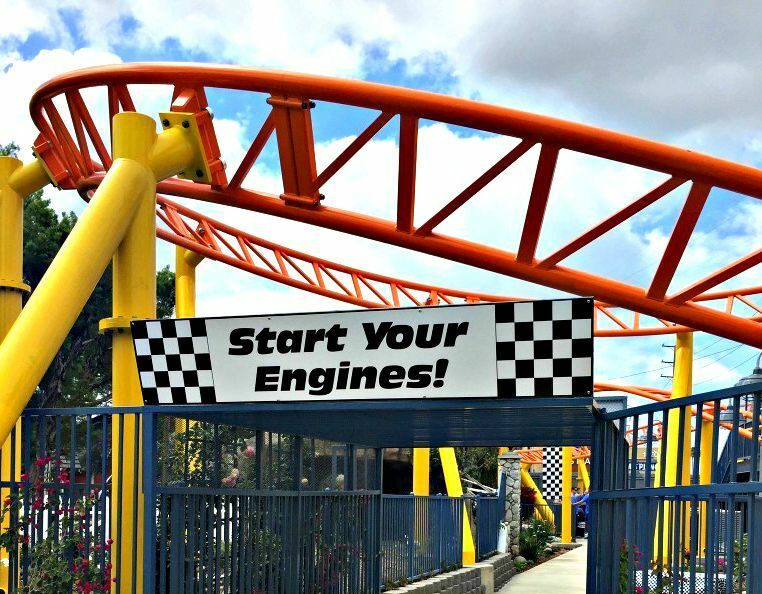 Compare to one of the better known theme parks in Southern California where admission is over $100.00 for a single day ticket, you get a lot more bang for your buck at Adventure City! Hand-stamp exit and re-entry is also available throughout the day of your visit. 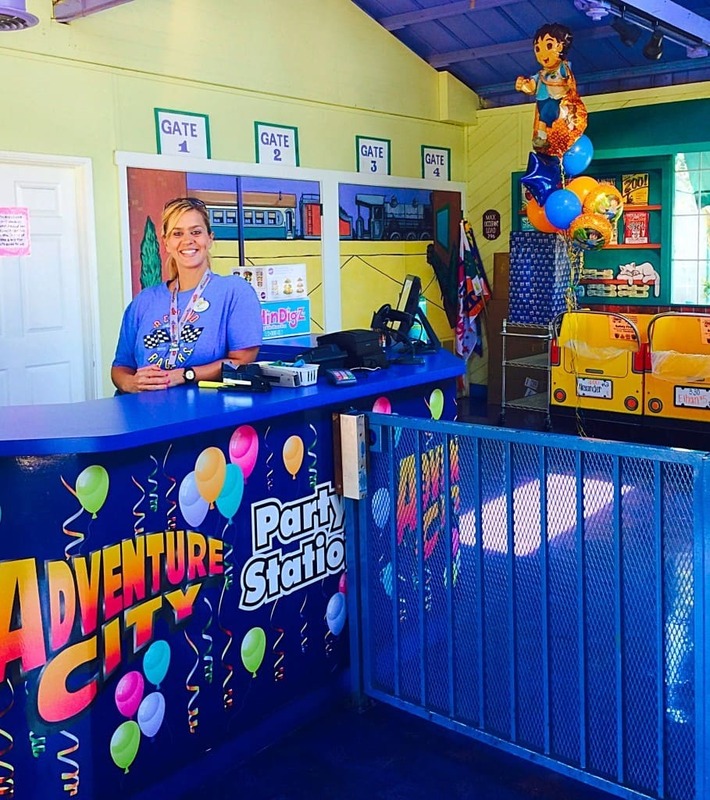 Adventure City does not offer an annual pass, but they do have a free e-club you can sign up for to receive special promotions, discount and park information. All over the park you can find tasty and inexpensive snacks from $3-$7. 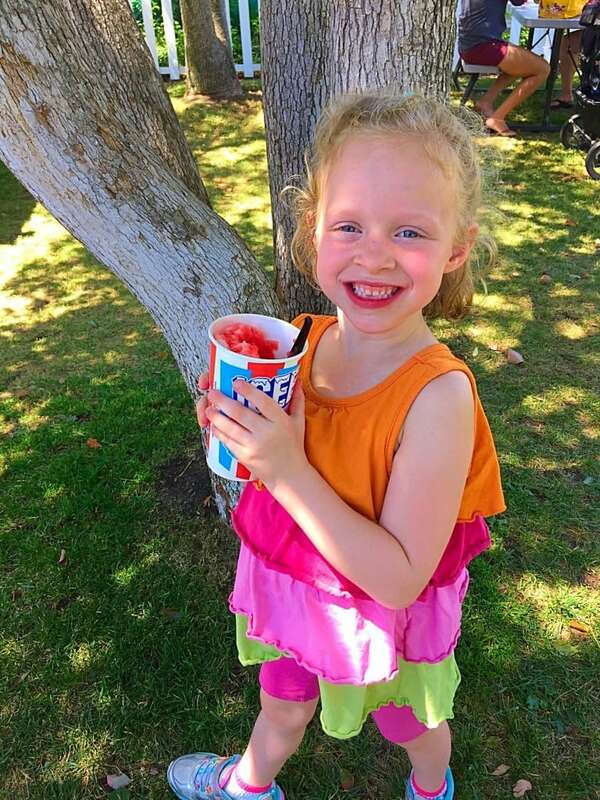 I got Field Trip Girl this classic Slurpee for only $3! 5. Great birthday party packages. 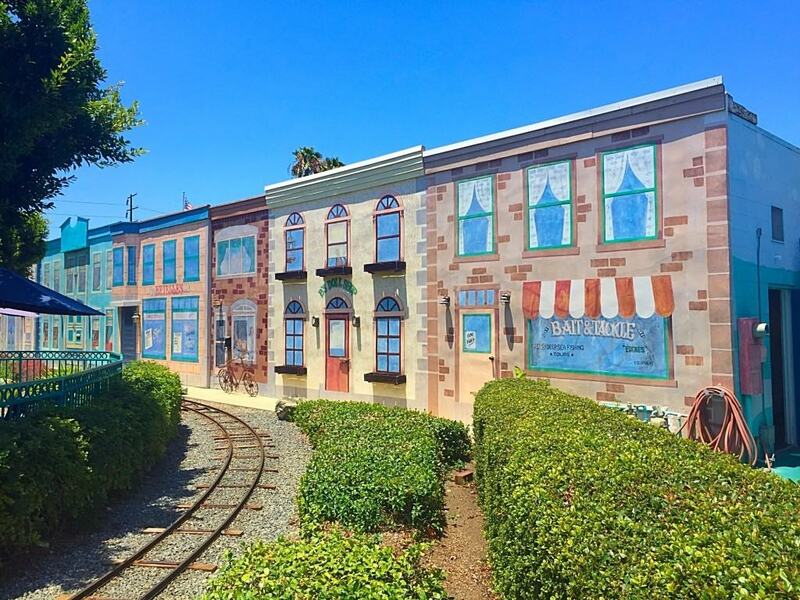 Adventure City is located at 1238 South Beach Blvd (between Ball and Cerritos) in Anaheim, California. The theme park is in the Hobby City Complex. 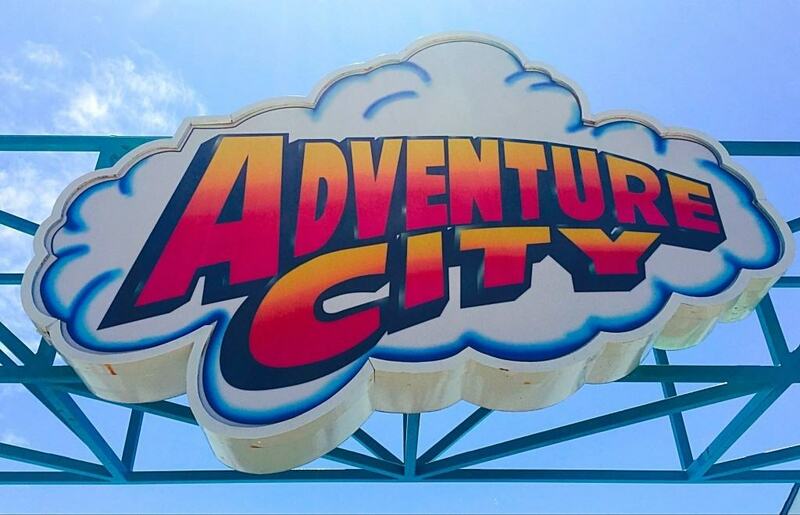 My family always has a fantastic time at Adventure City and look forward to returning again soon. 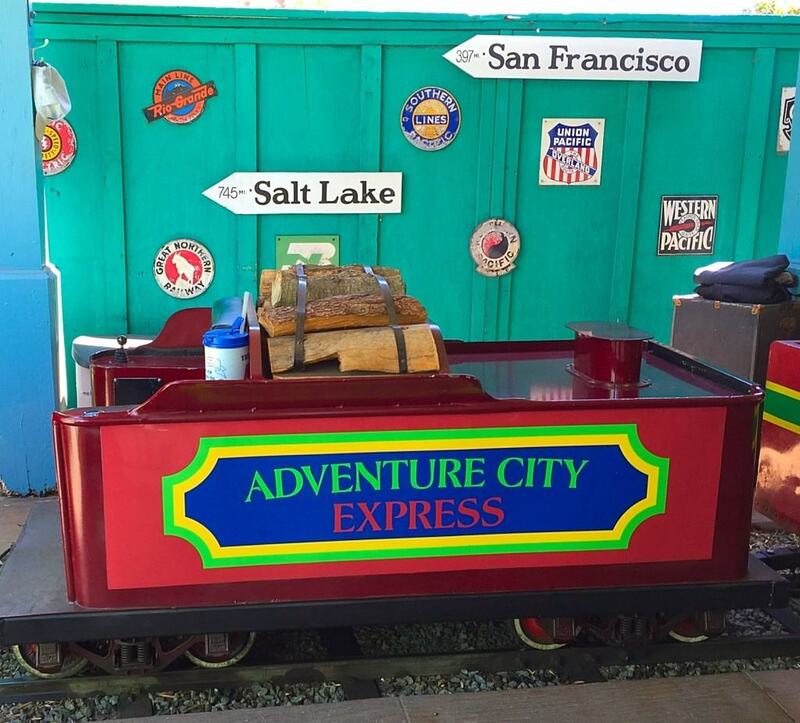 To learn more about the the little theme park that is BIG on fun, visit http://www.adventurecity.com.